I heard an old Scottish tale that says to drink anything brewed with seaweed the night before a major snowstorm will render that snowstorm into a mere rain shower. With another winter storm bearing down on NJ, I figured why not give this a try? 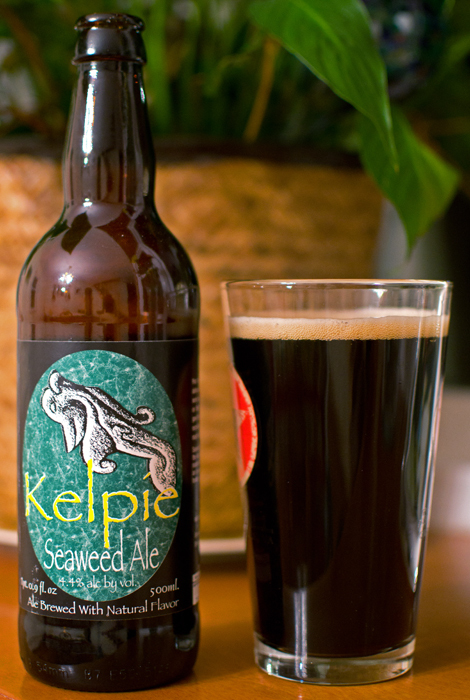 Beer #44, Kelpie Seaweed Ale, is from Scotland and is brewed by Williams Brothers Brewing Company. This beer is part of the Williams Brothers historic ales from Scotland collection and is brewed in the style of a Ancient Herbed Ale with an ABV of 4.4%. According to their website, before the 1850’s there were many coastal alehouses that brewed their own unique ale using barley grown in fields fertilized by seaweed. Interesting indeed. This was a dark beer, not quite black. It was closer to a very dark brown. The thinnest of tan heads formed in the glass. The appearance reminded me of a stout. The nose was very light. It had a sweet chocolate aroma with something else in there I couldn’t identify. Taste followed the nose up front but tailed off to that something I couldn’t identify again. Mouthfeel was odd, it hit me as a medium bodied drink but then finished off very light and watery. There was quite a bit of carbonation going on in this beer. 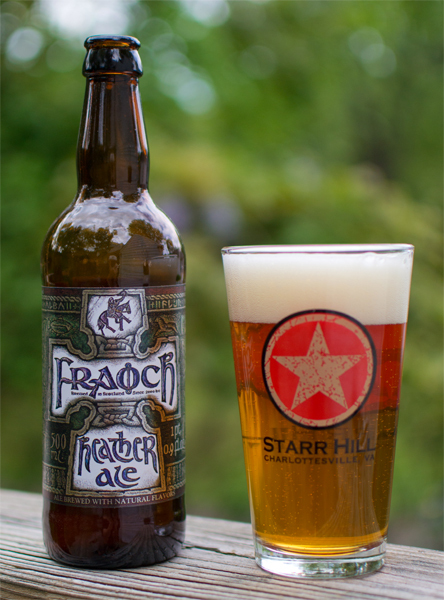 This was an odd brew…or should I say strange brew? I felt this beer had an identity crisis. It sort of reminded me of a stout but the mouthfeel was all wrong for that. Those unidentifiable smells and tastes…I could only guess the seaweed was the source of them. Did I like it? Not really…it wasn’t horrible…just odd. Did it work to turn the snowstorm into a rain shower? Tune back in tomorrow to find out.